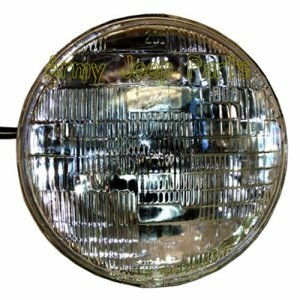 Sealed beam, 24 volt, headlite. These are the last production of the Wagner brand US manuf bulbs avail. The plant was closed in 2011 and we bought the remaining stock. Please specify if you need metal conn or rubber conn with your order. Sealed beam, 24 volt, headlite. These are the last production of the Wagner brand US manuf bulbs avail. The plant was closed in 2011 and we bought the remaining stock. Please specify if you need metal conn or rubber conn with your order. If you need metal there will be an additional charge of 7.50 per bulb.